The Pound South African Rand (GBP/ZAR) exchange rate has remained subdued over the course of this morning and into the afternoon, and is currently trading at an inter-bank rate of R17.80. This morning saw the release of South Africa’s M3 money supply figures, which fell further than expected, by 5.59% instead of increasing as forecast. South African private sector credit also saw a lower-than-anticipated rate of growth in December, with credit growth at 5.1% compared to the previous 5.56%. However, this could do little to weigh ZAR down, as despite UK mortgage approvals being better-than-expected, they still dropped to an eight month low, with UK consumer credit also showing that it grew at the slowest pace since 2014. Yesterday saw both the ‘Cooper’ and ‘Grieve’ amendments defeated in Parliament, and as these deals would have allowed the Commons to block a no-deal Brexit, it seems likely that this dampened sentiment for the Pound. Meanwhile, the ‘Brady’ amendment was passed, which called for ‘alternative arrangements’ to replace the Irish backstop, although the response from European Council President Donald Tusk may have caused the Pound to fall as he announced the EU would not reopen the deal. 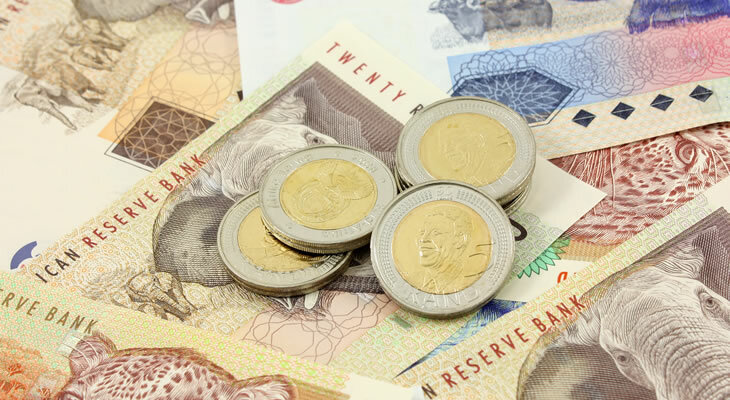 Yesterday saw the risk-sensitive South African Rand (ZAR) rally against the Pound over the course of the day despite the ongoing tensions between the US and China. The US Department of Justice filed criminal charges against Huawei and its Chief Financial Officer, Meng Wanzhou, which likely undermined attempts to improve relations between the two countries. Today, Ms Meng appeared in a Canadian court, and over the next month Canada will decide whether or not the extradition request made by the US has a strong enough case. Likely keeping ZAR buoyed were comments from US Treasury, Steve Mnuchin, in which he denied reports that developments in the Huawei case were tied to trade talks, further adding that he was unaware of the charges raised at the start of this week. GBP/ZAR Outlook: Will the Rand Benefit from Poor UK Consumer Confidence? As Brexit is likely to remain in the headlines, it seems likely that this will cause movement in the GBP/ZAR pairing, which could slip if the likelihood of a no-deal Brexit increases. The US-Sino trade talks scheduled this week are also going to cause movement in the pairing, as the risk-sensitive Rand could benefit from signs that the US and China are going to reach a deal and relations show signs of warming. Tomorrow will see release of January’s Gfk consumer confidence figures, which will likely cause the pairing to fall as the forecast suggests confidence is going to contract further to -15. Sentiment for the South African Rand could be dented by the SA Producer Price Index for December, which is forecast to show a slower rate of growth, at 5.75%, although the month-on-month figure shows a contraction of -0.45%.